Patrick is the CEO of DigitalKap, a 100% Haitian owned solar company, that has been in operation for over 4 years. During this time, DigitalKap has provided high-quality solar system installations and maintenance on more than 500 solar systems for homeowners, businesses, schools, non-profits and government organizations. As a proven solar provider, DigitalKap has been a leader in best practices for new solar installations, updating of existing solar systems, solar street lighting, solar water pumping, cleaning, maintenance, operations checks and renewable energy and system use trainings in Haiti. Mr. Eugene began his career as a computer programmer working in the US where he’d done his studies, but always planning to return to his native Haiti when the business opportunity was right. That moment came in 2013 when he founded DigitalKap. In 2014, DigitalKap formed a partnership with US-based NRG Energy, to design and install complete solar systems on their behalf – generating significant savings on electricity for their clients, allowing their clients to finally take the green route and abandon dirty and expensive fossil fuels. Along with his computer qualifications, Mr. Eugene has also received advanced training in renewable energy. The more he considered it, it was the possibilities solar offered in Haiti that really caught his imagination. Haiti and solar power were made for each other. As an entrepreneur in this domain, Patrick is eager to contribute to the solar energy revolution in Haiti and in the Caribbean. Delia is an Assistant Professor of Environmental Science at Ferrum College in Ferrum, Virginia. She spent her sabbatical in 2017-18 working on solar energy projects in rural areas in Haiti. As a result of her work with the people and projects described here, she created kWh as a means of sharing stories and lessons of how solar energy partnerships have helped empower schools and communities by providing what Patrick Eugene calls the "tools for Haitians to help themselves". Her work was funded through grants from Ferrum College and the Episcopal Church's Creation Care Taskforce. Philip is a native Virginian who grew up in the Shenandoah Valley. He attended the University of Mary Washington where he obtained a BA in Sociology. After college, he moved west to Los Angeles to begin his film career. He spent years as a stills photographer before transitioning into lighting, camera, and eventually, Cinematography. His favorite works include Tohoku Tomo and The 113 Project, both documentaries he shot in Japan that focused on the rebuilding efforts after the 2011 tsunami and positive cultural and historical aspects of the Tohoku region. He returned to Virginia in 2014, is obtaining an MBA at Mary Baldwin University, and is the Executive Director of Renewing Homes of Greater Augusta, an affordable housing nonprofit. His most recent trip to Haiti took place in March of 2018 where he filmed and directed kWh: Kinship With Haiti and taught a business course at the Business Technology Institute in Les Cayes. He looks forward to future trips to dive deeper into sustainable solar installations. He lives in Charlottesville with his lovely wife and their two children. Schneyder was born June 06, 1988 in Croix - Des - Bouquets. He has a degree in theology and was ordained Deacon on November 08, 2017. Now, he is working at Mission St Marc as administrator. Surlin Paulius was born on February 26, 1955 to the third section of the commune of cerca the source. He is the son of Mr Oremus Surlin and Madame Saintsil Troissous. He has 13 children, 5 girls and 8 boys. He is a trader and one of the founding members of St. Marc Episcopal Church, Cerca la Source. Rev. Dr Kesner Ajax, Dean and Executive Director of BTI. He is rector of the parish Ascension of Beraud in Torbeck.He was Secretary of the convention of the Episcopal Church of Haiti During 12 years, he was also the president of the permanent committee of the same diocese for 4 years and director of the Partnership program of the Episcopal Church of Haiti for more than 10 years . His vocational training after high school began at the pilot center in Port-au-Prince where he obtained his diploma in auto diesel mechanics and injection. Then, he studied management at INAGEIH. After having gone through the cycle planned at the theological seminary of the Episcopal University of Haiti, where he currently teaches pastoral care, he obtained a master's degree at Boston College Massachusetts in the USA, then a doctorate in ministry from the University of the South, Sewanee, Tennesse in the United States. The Rev. 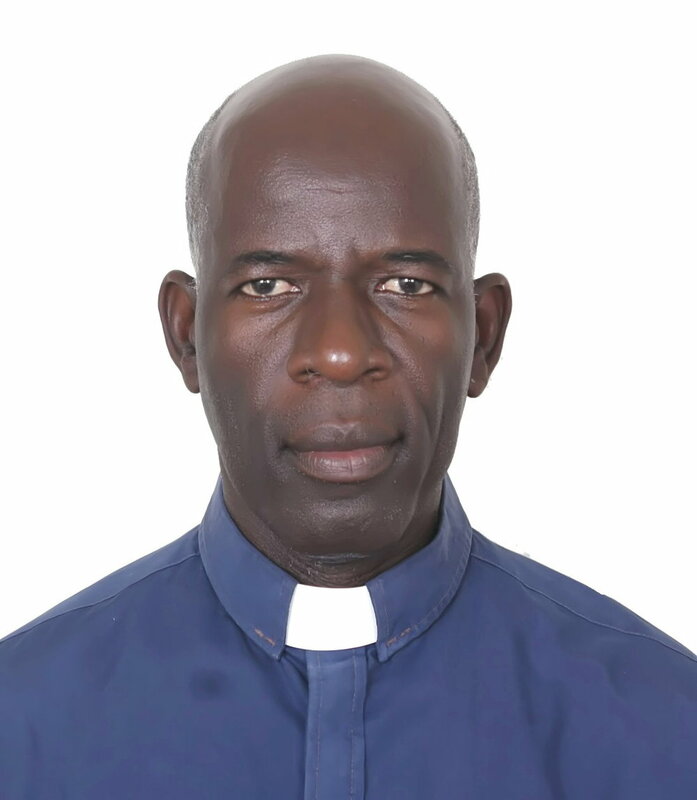 Jois Goursse Celeste is Priest in Charge of St. Marc, Trouin and St. Simon St. Jude, Duny since August 2013. He is the third in a family of 8 children (5 boys and 3 girls) . His mother is passed away when he was younger, but his father is still serves as a carpenter in nearby Cherident. Pere Goursse is an avid soccer fan and you are most likely to find him in his free time on the pitch playing soccer with the young men from St. Marc displaying his impressive playing and coaching skills. His joy for life and serving the people in his parishes is evident in his smile, his enthusiasm and his dedication to all whom God has brought into his sphere of influence. He has a wife and small son who are the only thing he loves more than the people he serves and soccer. The Rev. Roger Bowen has served as chaplain and headmaster in Episcopal day and boarding schools throughout his ministry. A former Peace Corps volunteer and program director, Roger has a heart for the underserved in the developing world. For 35 years he has helped to partner as many as seventy Episcopal schools in the USA with Episcopal schools in Haiti. Retired now in the Diocese of SW Virginia, he continues his work there.